Today we're going to have some bottle spam as I'm feeling lazy, and it's getting hard to do swatches as the light in my house is so bad now it's getting dark really early. Here's pics of my haul, be warned there's a lot! That was quite a lot of polish! It was all bought on offer in town, or from ebay for nearly next to nothing, I can't bring myself to pay full price for polish when I know there'll be an offer on soon enough, and I love hunting for bargains on ebay. 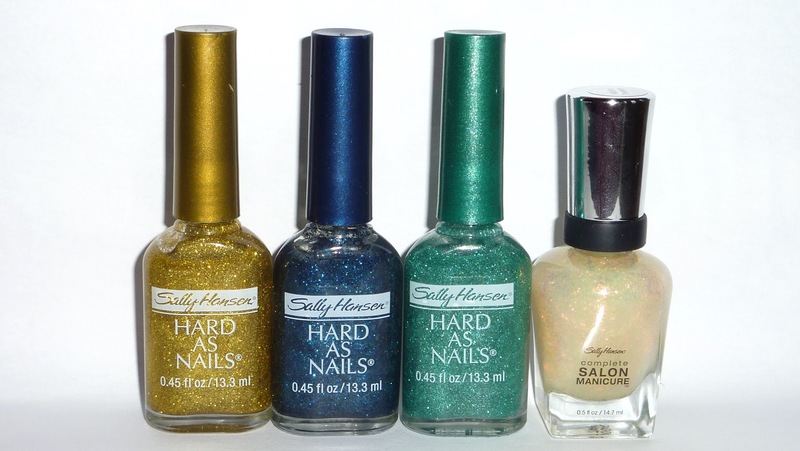 My favorite finds have to be the Revlons, and then the old Sally Hansens, would you believe it that I only paid about £1.50 each for these including shipping, and I absolutely adore them. 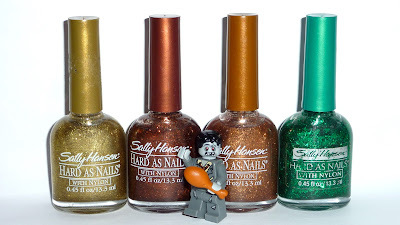 The down side was missing out on some gems that I really wanted, but I got burned by an ebay seller, they tried to go back on combined shipping and stopped replying, I'm still sorting it out, stupidly I'm more miffed about missing out on the polish than I am about being messed around. Did you get any good hauls lately or are you on a no buy to save money for christmas? Holy cow, those metal Rimmel Metal Rushes! AWESOME! I've had Jaded and Nordic Sky on my wish list FOREVER! I must ask, where do you score your vintage gems? I'm sure the SH's were eBay, I was just curious :P PS - LOVE the Lego character placement! I'll be posting about the Rimmels soon, just need to edit my photos. Would you believe I got Jaded, Nordic Skye and the chrome in the same buy-it-now auction, only cost me about £6 including p&p! I get most of my vintage stuff from ebay uk, but also from pound shops which are really good sometimes for old SH's. PS - was the eBay seller cassiecosmetics? No it wasn't haven't bought from them yet, are they any good? It was a UK ebayer, with one feedback, I missed out on 2 revlons I'd never seen before (including a glitter) and three SH hologems which I really, really wanted! Oooh, what were the Revlons? Haha me too! I'll have to keep an eye out for Racy! What a great haul! I love your lego figuirines. I need that zombie in my life! 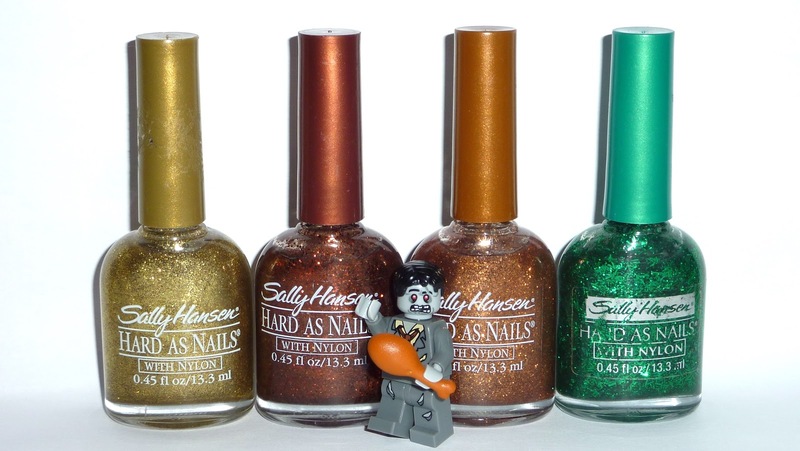 Also, in your pics, I appreciated the amethist glitter and pearly queen a lot. Lucky you!!! Anyways, I like your blog a lot, it's nothing too much and I appreciate down to earth, so I'm asking you if you want do join mine, where I show my first nail art attempts looking for advice and sharing. Fabulous, fabulous haul! I see a lot there that I still need to pick up for myself!